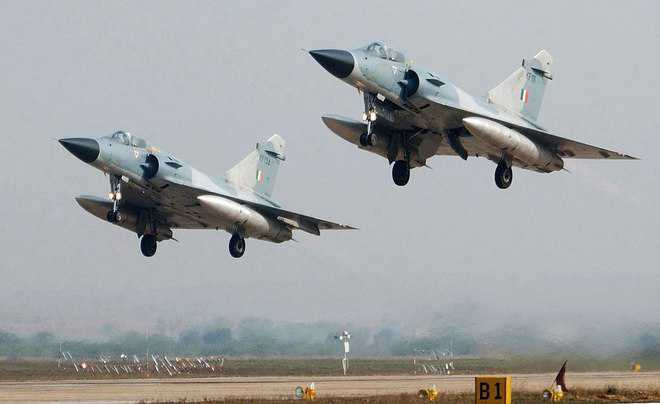 The Indian Air Force (IAF) used a specific missile to hit a major Jaish-e-Mohammed terror camp at Balakot in Khyber-Pakhtunkhwa on February 26. The missile penetrates through the roof and the warhead detonates subsequently, causing damage within the structure. The roof may not collapse and similar technologies have been used in other events elsewhere. It is not a missile that would blow away things into ‘fragments’. The use was to prevent any collateral damage to civilian population. The ‘blast wave’ can very well go out of the doors and windows which are weaker structures in the building as compared to the roof. International news agency the Reuters and the Janes Defence weekly – a prestigious journal – have contested Indian claims of having hit the targets saying there is no structural damages to any of the JeM terror camps. A senior IAF officer, on seeing a series of reports in the social media and international media, said “The roof may not have gone off but the terrorists are definitely dead”. The Tribune had reported in its edition dated March 4 that 30-odd terrorists and their trainers were dead. The IAF has collated data from various sources, and internal assessment indicates that definite ‘evidence’ exists. It has been shared with the government to show that arsenal hit the ‘desired’ targets. A bomb damage assessment has been done using images from satellites, radar images and also secret sources. Mirage 2000 fighter jets had bombed the terror camp using Israeli made ‘Popeye’ missiles. The ‘Popeye’ is an air-to-surface missile with a range of 78 km and is produced by Rafael industries of Israel.